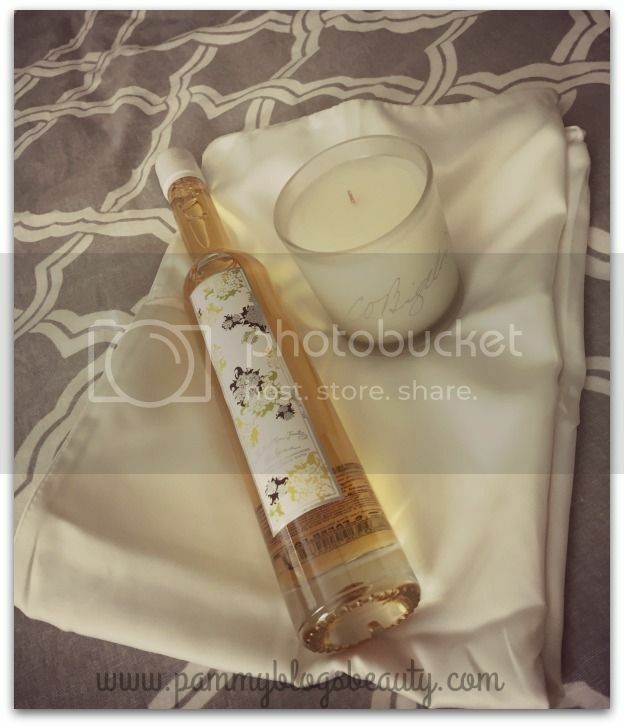 Pammy Blogs Beauty: Have a Relaxation Day with Luxury Products! Have a Relaxation Day with Luxury Products! Happy National Relaxation Day: Celebrate with Luxury Products! Did you know that today, August 15th , was National Relaxation Day? While that day has passed, I think that finding time to relax every day is so imortant! I mean, I know that I could certainly use some relaxation. Day-to-day life can be stressful. We must feed our mind and soul and nourish it when we can! Why not celebrate this idea by treating yourself to luxuries at home with beautifying essentials from C.O. Bigelow, mē and Soap & Paper Factory. Why? Because you deserve a treat! I didn't get a chance to try out the eye mask, however, the satin pillow cases are so luxurious! I feel like consistant sleep on both these pillow cases both soothes your skin and diminishes frizz in your hair. In as little as two weeks, see brighter, glowing skin. In as little as four weeks, see fine lines disappear. Copper is an essential mineral known to enhance skin appearance for a healthy, youthful glow. Whenever the beauty boosting pillowcase or eye mask touches your skin, the copper ions in the fabric interact with the skin’s upper layers during sleep to improve the appearance of skin overnight. This is probably one of the prettiest bottles of bubble bath that I have ever seen. It almost looks like a very tall and thin wine bottle. I love the look of this bottle on my bathtub. The scent is gorgeous and I am a fan of the decadent bubbles. This would be a great treat for yourself or it would make a gorgeous gift! This super luxe bubble bath is skin softening and so bubbly! The unique fragrances possess qualities to relax and nurture. These products are also paraben and sulfate free. Available in Green Tea, Gardenia, Lavender, Lemon Verbena, Jasmine, Marine, Tuberose and Neroli. Nothing like a little me time!